Yes, you can see stars in big cities. 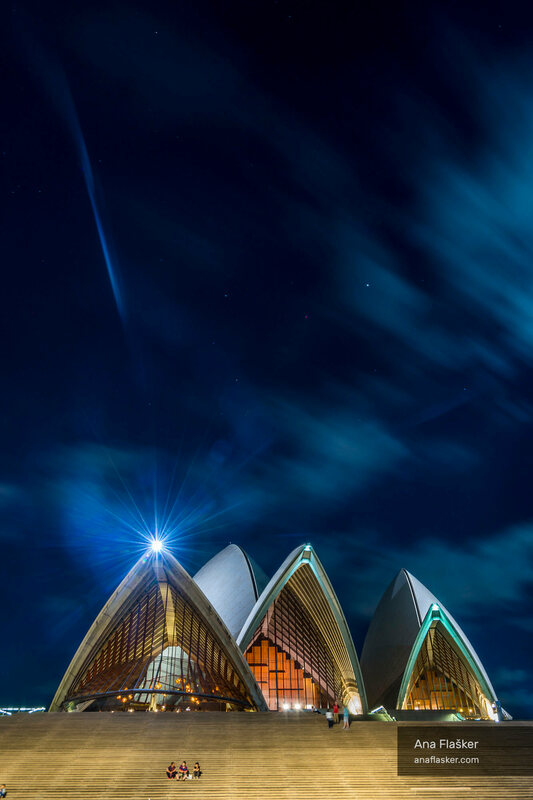 Sometimes the moon light, clouds and night illumination of Sydney Opera house align the way you want. Worth to wait!